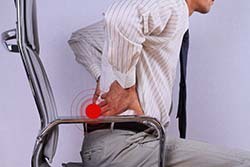 Herniated disc injuries can be very painful. It is one of the most painful injuries you can experience, a cervical herniated disc. When the inner core of the disc that is in your neck herniates or begins to leak out, you can experience incredible discomfort in that area. The people who are more likely to develop this condition are between the ages of 30-50, and the symptoms can begin at any time. In some cases, the pain is sudden and you do not even realize something has happened in that area. However, a number of cervical herniated disc cases result from trauma or an injury to your neck. For instance, if you are hit in the area while playing sports, or you are injured during a car accident. You will feel the symptoms of this conditions in a few different areas of the body. It will cause pain in your arms, fingers and shoulders. The type of pain you are feeling will depend on the precise location of the herniated disc in your body. Some herniated disc injuries can cause a person to feel weakness or pain in their biceps and triceps. Meanwhile, other patients may feel as though their shoulder is in a lot of discomfort. With any condition, it is so important to seek assistance from a professional. A cervical herniated disc is a very tricky injury and it is one that is not going to go away with time. The best thing you can do is book an appointment with a sports medicine doctor at Spinal Rehab and Sports Medicine clinic. Dr. Bob Meyer specializes in the diagnosis and treatment of sports injuries including herniated discs. If you were injured while playing a sport you may be worried about missing game time, but with sports medicine and the correct sports injury treatment plan, you can come back faster and stronger.